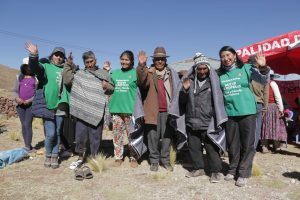 With the arrival of winter and the abrupt drop in temperatures, Lima and Puno volunteers once again carried out the ‘Let’s save them from the cold’ campaign. The Alto Pavita community, including community authorities, located in the Anapa sector, Zepita, received New Acropolis volunteers with a warm welcome. The activity began with the presentation of the play “The Selfish Giant” by the theater group, followed by games and competitions for the local children. To the rhythm of music and in a joyful atmosphere, the little ones received a Tangrama (board game) made by the volunteers of the Puno branch. Also, blankets, boots and outerwear were given to all the participating children, adults and elderly; in total about 800 people benefited from the campaign. 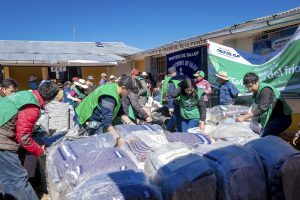 This project received the support of various institutions such as the Ministry of Health by providing medical attention to the inhabitants of the community, as well as the transport company Cruz del Sur, the workers of the Meliá Hotel and friends of New Acropolis, who collaborated with donations.